Rise Up CBD Flower Hemp Trim and Shake is a versatile product that can be used to make oil concentrates, used in extractions or even to bake edibles. 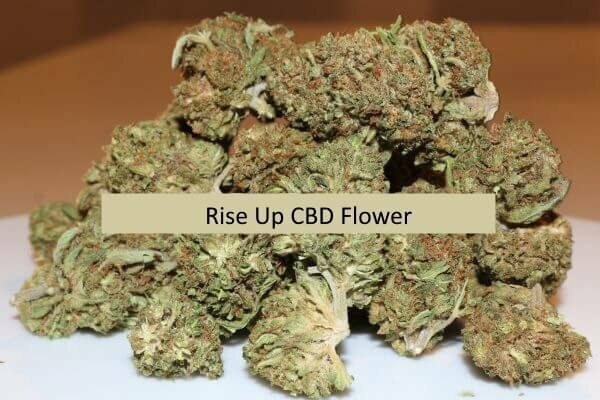 Rise Up CBD Flower is a product that can be used to make oil concentrates, used in extractions and even in baked edibles. CBD hemp trim from the Rise Up strain consists of shake, small nugs, trim and depending on the batch, a few seeds. Rise Up is another noteworthy newer strain, known for its diverse terpene profile. Like every other item, we shipped this product directly discreetly to you. Rise Up CBD Flower contains less than 0.3% Delta 9 THC, so you won’t feel the intoxicating effects of THC while supplementing with CBD. This product is only sold and shipped within the United States. We do not ship this product internationally. Above all, if there is even more information you need about our Rise Up CBD Flower products please feel free to reach out to us. If this is your first time using CBD and you are not sure please don’t turn away. As always you will be getting the Best products when you make your purchase on our website. Get your preferred Trimmed CBD Flower for personal use or as a gift to a friend here. Finally, we make commissions based on sales but you certainly can be sure that you’ll be getting your money’s worth with our original CBD products. Most importantly buy now and experience the many health benefits of the Trimmed CBD Flower.